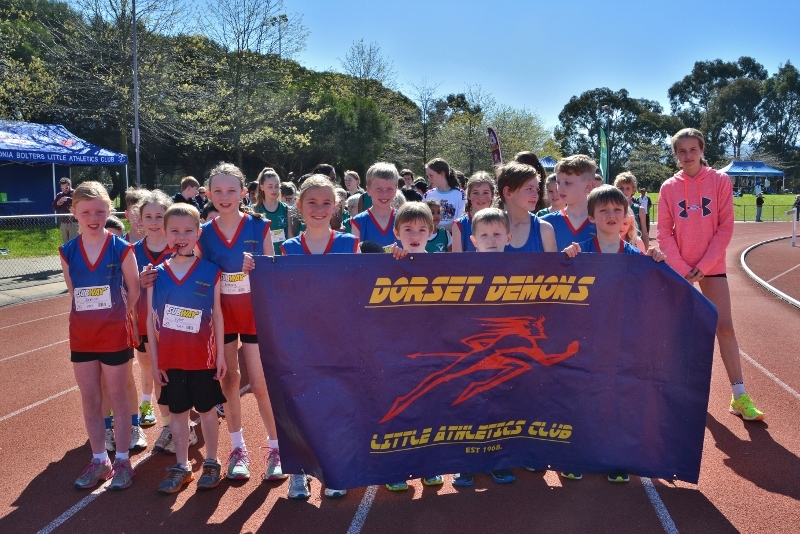 Dorset Demons Little Athletics Club is one of 11 clubs affiliated with Knox Little Athletics Centre located at Knox Park (enter via Bunjil Way – off FTG Road/Scoresby Road intersection – Knoxfield (Melway Ref 73 D6). Our membership of approximately 23 athletes over 16 families mostly comes from our feeder schools of Wattleview Primary School, Mountain Gate Primary School and Ferntree Gully North Primary School however we welcome anyone to our club. We have one of the youngest groups of athletes at our club in the Knox centre. This along with a strong committee makes us a real destination club. Age groups range from Under 6 – Under 16 (children must turn five years of age before October, or can join when they turn five after October 1). The athlete registration fee includes the Winter Cross Country Season (April to September) and the Summer Season (October to March). At Dorset we love Little Athletics’ philosophy of competing against yourself to achieve personal bests and earn your bronze, silver and gold medals. Whilst you run alongside other athletes, you’re competing against yourself. There are of course opportunities throughout the year to compete against other athletes too at the centres Open and Championship Days and representing Knox in the relay events. Come along, compete in a variety of track and field events, and have a great time. Dorset Little Athletics Club © 2019. All Rights Reserved.